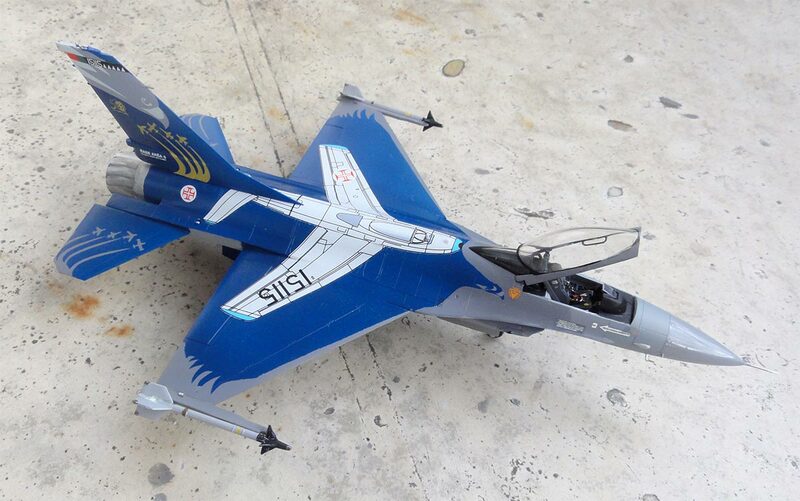 Another old Hasegawa F-16A PLUS kit #601 kit released in 1985 was made. It will be made as a Portugal air force "Força Aérea Portuguesa" F-16A block 15. 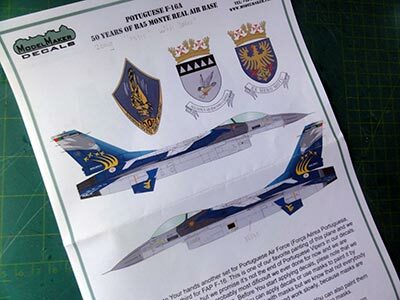 I had purchased a ModelMaker decal set for a F-16A with special 50 years BA5 Monte Real decals. 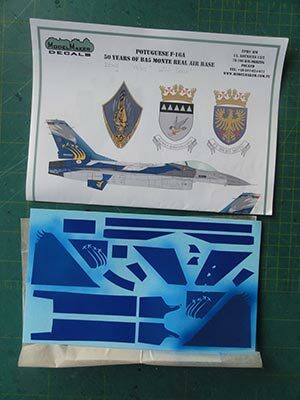 The ModelMaker set has a choice of using blue decals or using the fine masking set included. 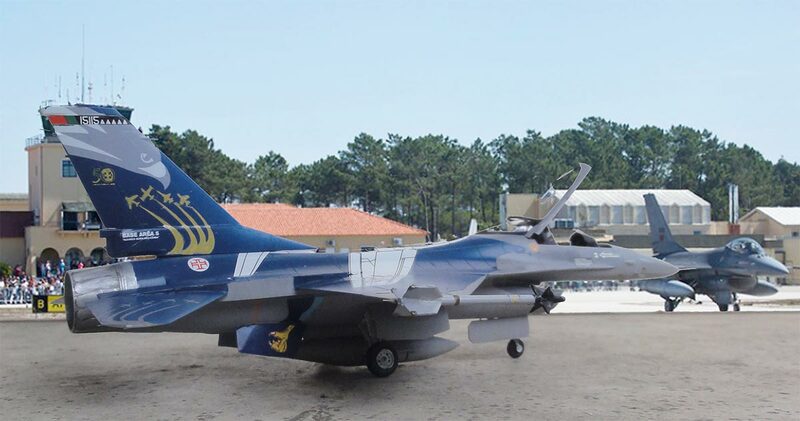 Portugal got F-16 aircraft in the "Peace Atlantis" program with some 20 new F-16 Block 15 OCU aircraft from 1995. 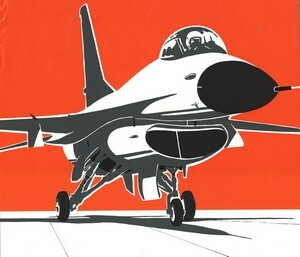 In 1996 some 25 additional second hand F-16 Block 15 arrived. Later on various aircraft got a sort of MLU upgrade. It appears that the special scheme F-16A coded "15115" is a Block 15 with the Pratt and Whitney F100 engine and is seen on photos without the IFF antennas in front of the canopy and it has not any structural stiffeners on the upper fuselage. Probably the MLU upgrade was not done for this particular aircraft. As described earlier on page 1 and 5 the old Hasegawa kit has 4 plastic sprues and 1 clear sprue that have about 70 parts. Surface detail has engraved panel lines but the wing has two halves to be joint to the center fuselage section. The normal first generation vertical tail is in the kit with a very short standard USAF like tail fairing. Rear fuselage with exhaust is for the Pratt and Whitney F100 engine with normal "small" air intake. Assembly is straight forward but please note the suggestions on the indicated pages. For example the intake #B4 is a bit undeep so with a razor saw the rear closed portion was cut-off. This gives a "deeper look". The kit assembly was quick of the main parts. 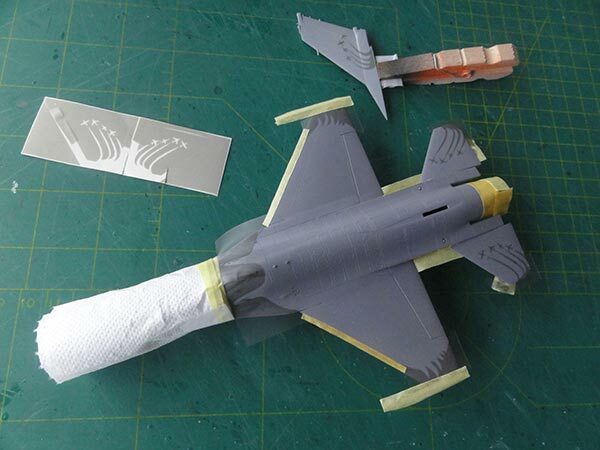 But do not yet install the smaller bits and also NOT yet the vertical tail. lower surfaces FS36375 (using Gunze Sangyo H308 acrylic), upper FS36270 (using Gunze H306), and aft upper areas FS36118 (using Gunze H305). 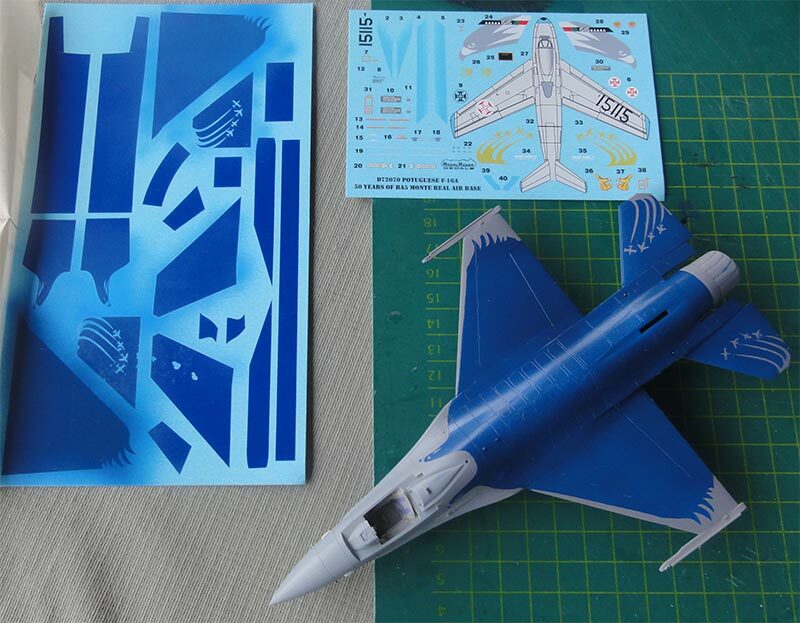 The blue pattern would be airbrushed using the masking set included with the ModelMaker set. The masking set is VERY GOOD! (Note : I found that the blue decals are translucent but these were thus not used). For the blue colour I thought that Gunze Sangyo H322 is a good match. I sprayed a bit also on the decals just in case "repairs" would be needed. The mask sections were added and the model got the blue coat airbrushed. 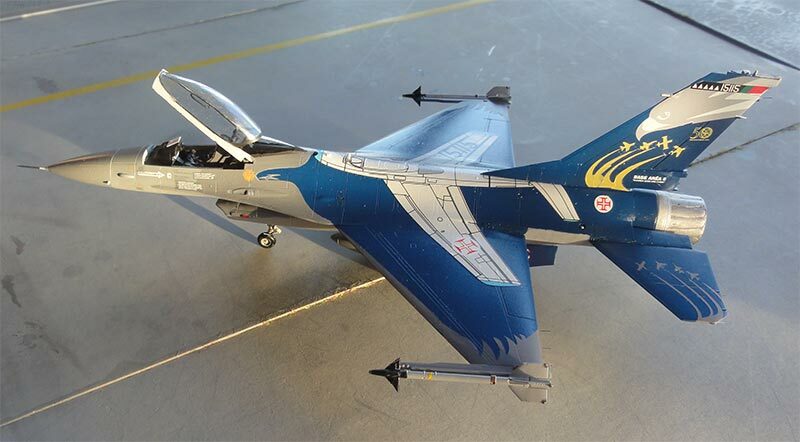 The result with the masks representing a "Falcon" on the upper aircraft removed... the masks are really good! I found that on this particular aircraft the FS36118 area near the cockpit area looks a bit darker on photos than what I had airbrushed. So I hand painted this small area again with Gunze Sangyo H305 using a brush, this always is a bit darker than when airbrushed. The radar nose was painted a bit darker grey of FS36320. 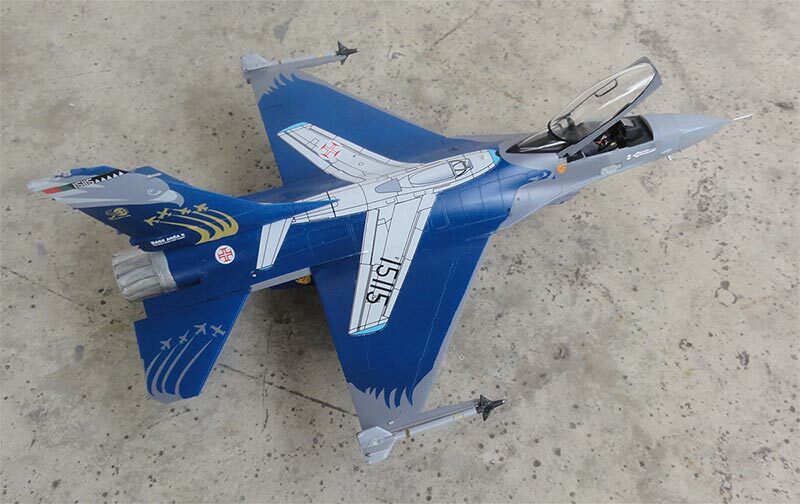 The vertical tail, which was not yet fitted, was also airbrushed. 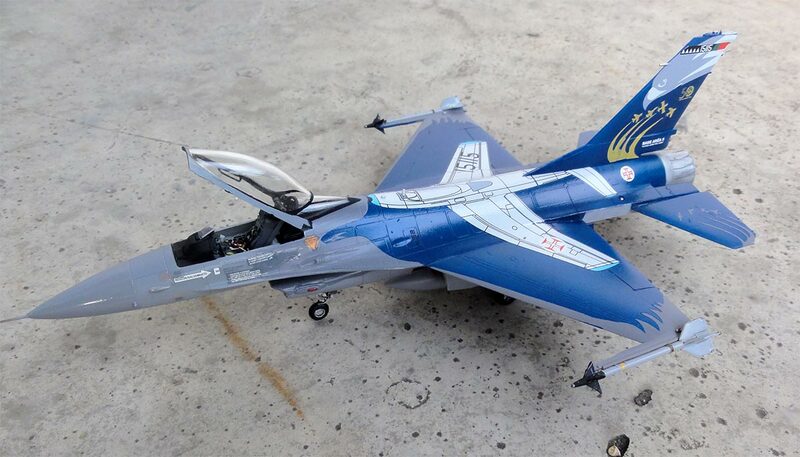 The forward edges of the tail are lighter blue so a bit white was mixed in with the H322. (sorry, I forgot to make a photo). Decalling was now done. 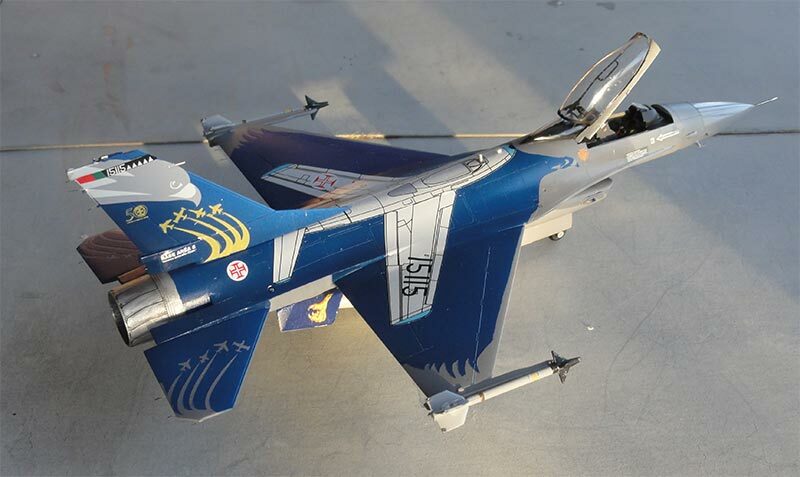 The F-86 Sabre marking on top has a length about 3 mm too long; that was quickly solved by cutting the decal just in front of the "tailplanes". Also I removed the spine antenna to get a better decal fit. The other markings were fine. Note that there appear to be NO upper walkway lines on this aircraft. 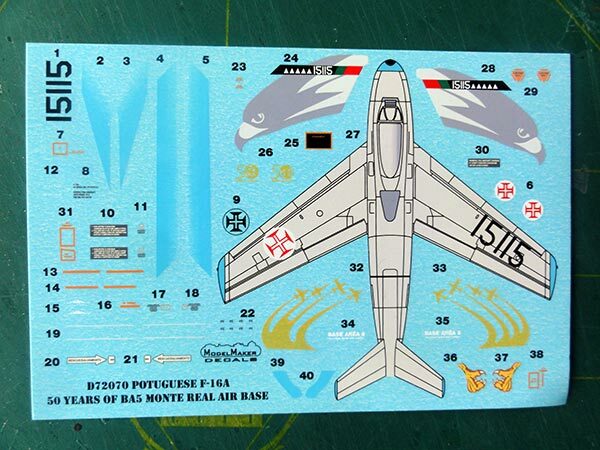 But there are some stencils and airframe markings on the aircraft, these are nicely provided in the ModelMaker set. After decalling model completion was done. The landing gear bays and legs were painted white. Some extra details set in the bays like the battery and a few hydraulic lines were added made from very thin metal wire. This is a splendid maintained aircraft. So only some wash was added inside the gear bays and gear legs through a mix of acrylic varnish and black paint. In the cockpit I installed the simple kit ACES seat but added a few details. For the instrument consoles I used spare decals. 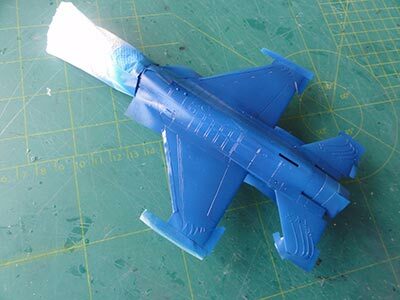 I added a pair of better AIM-9L Sidewinders from a Hasegawa weapons set on the wing tip launchers. *(later on also a central fuel tank as well as per kit). The spine got a tiny antenna that was previously removed and the small pitot aft of the nose at the right side from scrap, it is missing in the kit. The final detailling included replacing the pitot with a metal needle that looks better. Also replacing/ adding some 15 thin static dischargers was done made from fishing wire (painted black). The untinted canopy got inside 2 handles inside and was installed open. The model was completed and looks great! 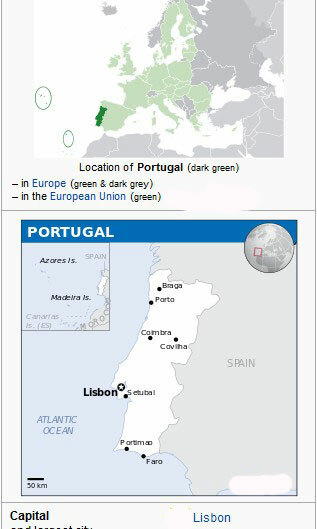 "Seen at BA5 Monte Real, Portugal"